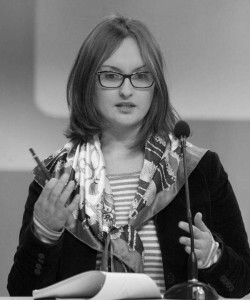 Anna Arganashvili has been working in the field of social inclusion and rehabilitation of children with disabilities since 2003. She has headed the Department for Gender Equality and the centers for children and disability rights for seven years at the PDO. She worked under the project of supporting Child welfare by UNICEF for 2 years. She has been acknowledged for the contribution in the field of disability rights by the local coalition of NGOS forking on disability issues – Coalition for Independent life in 2009. She has authored multiple studies and research reports on the rights of persons with disabilities, children and women.